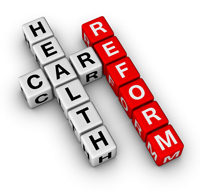 Health care reform refers to the changes in the health care delivery system put into place as a result of the passage of the Patient Protection and Affordable Care Act legislation passed in 2010. The Affordable Care Act included requirements for nonprofit hospital community benefit. See Compliance for more information. In addition to the rules for hospitals related to community benefit, there are many components of health care reform that have implications for and are pertinent to community benefit work. The overarching elements of the Federal health reform law provide more people with access to health insurance coverage, establish legal protections for consumers, and help consumers to knowledgeably access health insurance.